If we’re serious about stopping distracted driving, then we need to be serious with the penalties that are meant to stop it. Yesterday, I wrote about California’s new anti-hand-held-cell-phone law, which provides that a “person shall not drive a motor vehicle while holding and operating a handheld” cell phone or electronic device. One of the things that struck me was how wimpy the penalties are for violating California’s “Driver Cell Phone Law”: a $20 fine for a first offense and $50 for each subsequent offense. Parking tickets are more expensive than that. Failing to feed a parking meter doesn’t kill and injure tens of thousands of people on our roads today. Distracted driving does. As a Michigan auto accident attorney, distracted driving and in particular texting and driving are showing up as a cause of more and more of the serious auto accident injury cases that I litigate. Our attorneys routinely order cell phone records and texting records. At a time when we are increasing our speed limits on our roads, people are driving more distracted than ever before. People hate when they see other drivers text and drive. But more and more people are doing it. There was an interesting study recently that talked about how teen drivers are literally addicted to their cell phones. With these proverbial slaps-on-the-wrist as penalties, it’s no wonder that distracted driving is getting worse, rather than better. 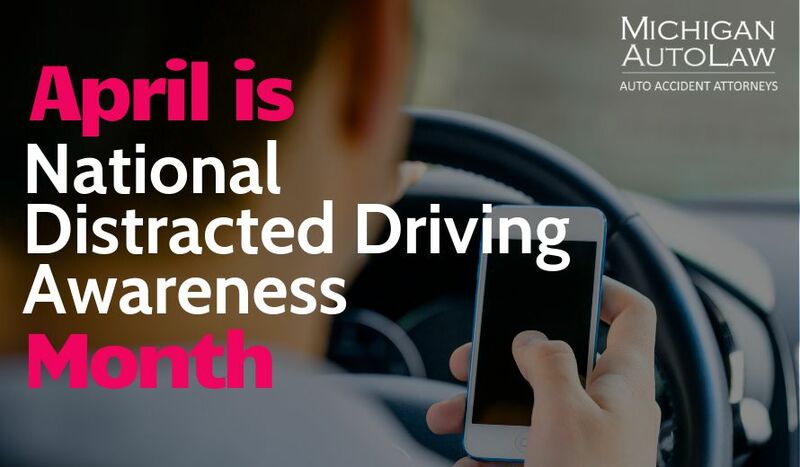 Between 2014 and 2015, there was a 100% increase in fatalities from distracted-driving car accidents in Michigan, according to the Michigan State Police Criminal Justice Information Center. But this shocking 100% increase in wrongful deaths caused by distracted driving may just be the tip of the iceberg. In most of the accident and injury cases that I see as an attorney, local law enforcement does not ever check to see if the other driver – the driver who caused the car accident – was using his or her cell phone or was texting and driving when the crash occurred. In fact, unless there was a fatality at the scene that required a fatal accident investigation by law enforcement that includes checking the cell phones of the drivers, cell phones are almost never checked by police. I am doing that later after I am retained as the attorney for the people who were hurt, but none of these cases are being included in the distracted driving crash statistics being reported. In order to turn things around and start winning the battle for safer roads, we need to start imposing real punishments that will catch the attention of distracted drivers and motivate them (read: scare them) to keep their eyes on the road and not on the phone when they are driving a car. The penalties and consequences for drunk drivers. The penalties and consequences for distracted truckers. Below, I’ll talk about how the distracted driving problem continues to grow, and, tomorrow, I’ll discuss the sanctions imposed on drunk drivers and distracted truckers. For years now, we – lawyers like myself, safety organizations and law enforcement groups such as NHTSA, NTSB, U.S. DOT, MDOT, MSP, Secretary of State and the National Safety Council – have focused on educating the public about the dangers of distracted driving. It’s time we match our efforts to educate about the dangers of distracted driving with our efforts to deter this dangerous behavior.